Historically, the Kathmandu Valley was connected to India through a trade route: Thori of Parsa – Hetauda – Bhainse – Bhimphedi – Khulekhani – Chitlang – Chandragiri Pass to Thankot in Kathmandu. Later on Raxaul was connected with the Indian railway head which made Birgunj as an entry point. 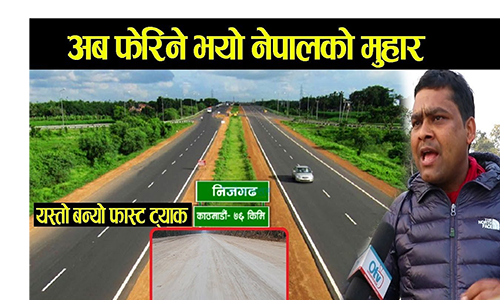 A motorable road was constructed between Birgunj – Hetauda – Bhimphedi which shortened traveling time between Kathmandu to Terai. However, the Mahabharat Range which stood between Mid Hill and Terai remained the serious obstacle. In order to remove this obstacle, the Royal Nepal Army completed the detail design of the Kathmandu Valley to Hetauda in 1954. Subsequently the Nepal Army constructed 70 Km of the Kanti Rajpath out of 91 Km in 1960. However, in parallel to this initiative, the Tribhuvan Highway was constructed with the Indian assistance and was completed in 1956. What were the historical reasons for not selecting the much comfortable Kanti Rajpath which avoided high altitude range has not been understood so far. 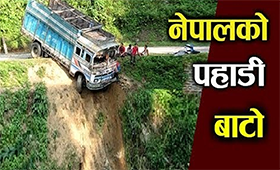 However, as the Tribhuvan Highway Road Project was implemented by the Indian Army which may have another very important strategic objective for which they had to take alignment through high altitude ranges.